When a loved one is diagnosed with a health condition, family members and caregivers have to become acquainted with a new language. Suddenly, medical terms become commonplace. If you’re not familiar with what the terms mean, it can quickly become overwhelming. One of the most common terms is IV Therapy. While most people may have a general idea of what it entails, if you’re caring for a loved one who will need it on a regular basis, it’s good to have a general overview of the different types of therapies and possible related complications. IV stands for “intravenous” or “inside the vein”. It means that the patient receives substances directly to their veins through a tube called a cannula. This could be either medication or nutrition. 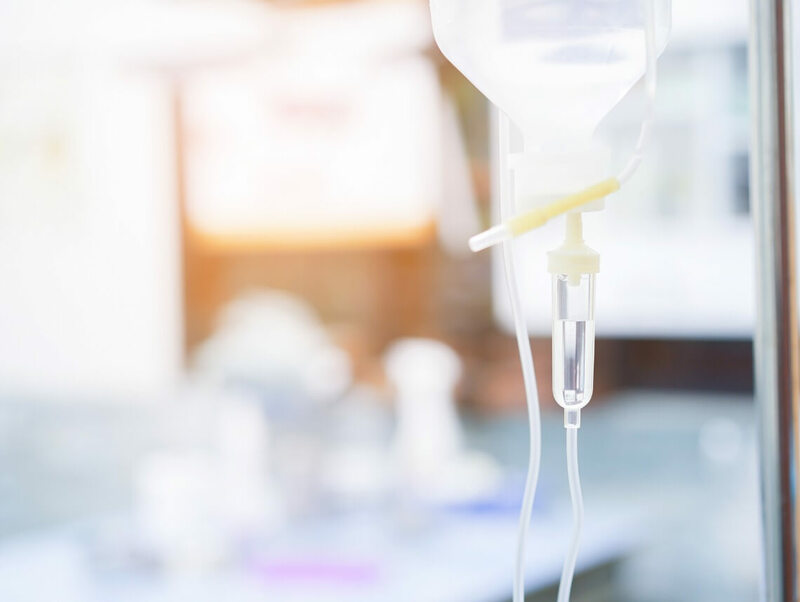 IV Therapy is a common practice for administering fluids to dehydrated patients, medications, chemotherapy treatments, and blood transfusions. 1. Phlebitis. Inflammation of the vein. It occurs when the cannula is too large for the vein or if it’s improperly secured. To prevent this, the caregiver should use the smallest needle possible suitable for the patient and fluid being administered. 2. Extravasation. This happens when the liquid in the IV leaks to the tissue surrounding the vein. It can also be caused by inserting a cannula that’s too big for the patient. 3. Air Embolism. This happens when an air bubble (or air bubbles) enter the vein. It could be fatal if not caught early, since the air can travel to the person’s brain, heart, or lungs. The complication can be avoided by ensuring that the patient is properly hydrated and resting in a supine position when injecting and removing the IV line. 4. Hypervolaemia. This is an abnormal increase in blood volume. It’s more likely to happen in pregnant women, young children, elderly patients, or people with kidney problems. 5. Infection. If the IV line, port, or skin on the site of injection are not properly cleaned prior to inserting the IV, the likelihood of infection increases. This can be prevented with proper sterilization and hygiene. If you or a loved one need of regular IV therapy, let us help you. At Sonas Home Health Care, we have an entire team of experienced caregivers to ensure the wellbeing of the patient.